Vidsys Enterprise 2019 expands capabilities for large-scale, widely dispersed customers. This new software release includes advanced features and expandable infrastructure purposely built for the Internet of Things (IoT) and can support customers with regional, national, and global footprints where enhanced Enterprise Data Visualization and Business Intelligence are critical features for real-time and historic reporting. Vidsys Converged Security and Information Management (CSIM) software platform extends capabilities beyond physical security by capturing and correlating data from multiple IT-security systems and information management systems. Customers can leverage the CSIM platform to support Smart City and IoT applications and a wide variety of use cases, including logistics management, manufacturing and supply-chain systems. Dashboard of multiple sites and data streams in one user interface – global situational awareness. Intuitive intelligence delivery. Discover and correlate relevant risks. Regional and global situational awareness across a large network of servers. Checks status of network-attached devices to guard against failure. Easy to deploy, upgrade, and manage from a central server with stability and performance both on premise and in the cloud. Extensive library of more than 300 connector integrations to different subsystems. Established library of business rules and dynamic workflow standard operating procedures. Easily upgrade to the latest version of Vidsys Enterprise 2019. A technology agnostic, single UI/platform that provides simplified situation management. 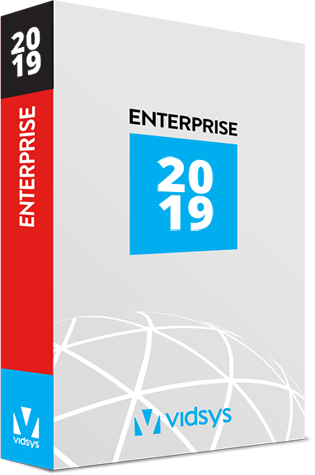 Want to learn more about Vidsys Enterprise 2019 and how you can get started? Please contact us.